According to world-class rankings Greek universities are not on the list of top 400 best in the world. 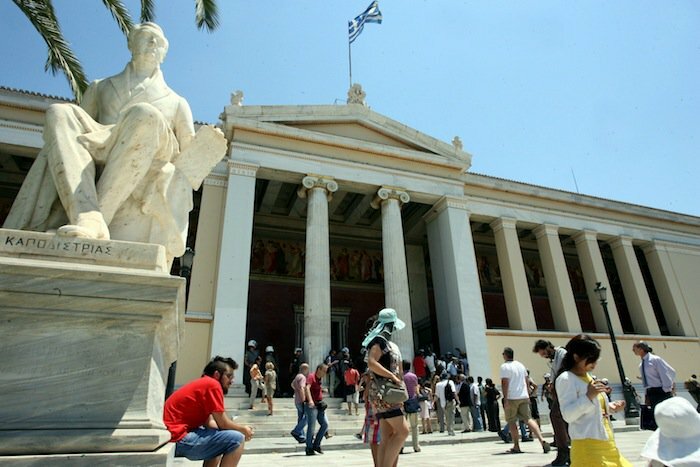 According to the international ranking QS World University Rankings for 2018, which ranked the top 959 universities internationally, no Greek Universities are in the top 400 positions as even the National Technical University of Athens fell from the 395th place from 2017, to positions 401-410, as reported by Kathimerini. This includes the Aristotle University, which ranked from 491-500 in 2017 and now finds itself in the 501-550 group. The University of Crete and the University of Athens are in the 651-700 group. The greatest decline was recorded by the University of Economics, which in 2017 was in the 701+ group, and for 2018, fell to the 801-1000 group, while the University of Patras also fell from the 651-700 group to the 701-750 group. All Greek universities received the worst scores for measuring the student index to faculty members that assess the level of resources a university can devote to teaching. Greek universities have also declined in the reputation index of academics, receiving lower marks in research that measures employers’ opinion. On the other hand, MIT is at the top of the QS World University Rankings survey for the sixth consecutive year, followed by Stanford and Harvard.